The Children’s Department is home to two beautiful murals by two different local artists! You can find a farm-themed mural in The Roost by the talented PJ Wejman, and tucked away in a back corner is a whimsical mural by Gloria Seitz! 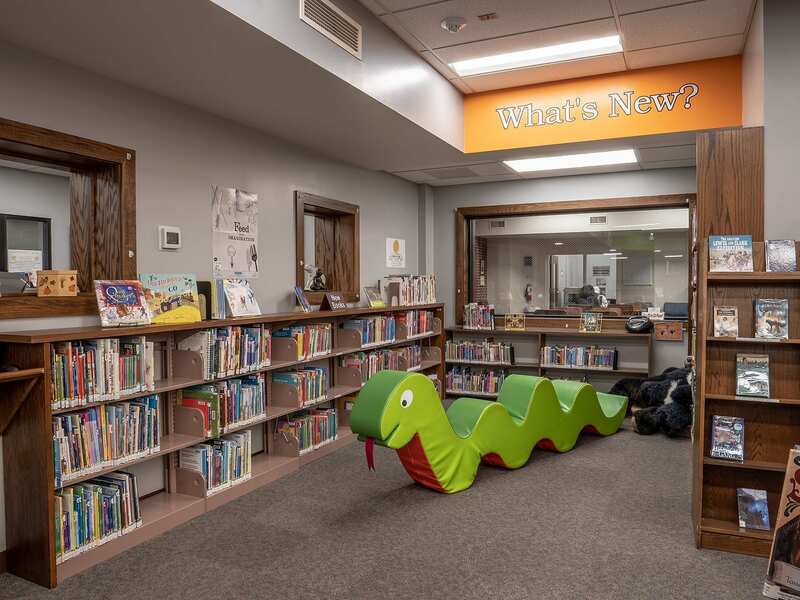 The center of the Children’s Department features a beautiful skylight that brightens this cheery room and lets visitors sit, relax, and read to their heart’s content. Just outside The Roost and The Imagination Station is the Children’s Lounge where kids can play on iPads or doodle on the coloring tables. This lively corner is where you can find the newest children’s releases! You can even read them on a giant stuffed bear’s lap or our giant, green snake, Slither! 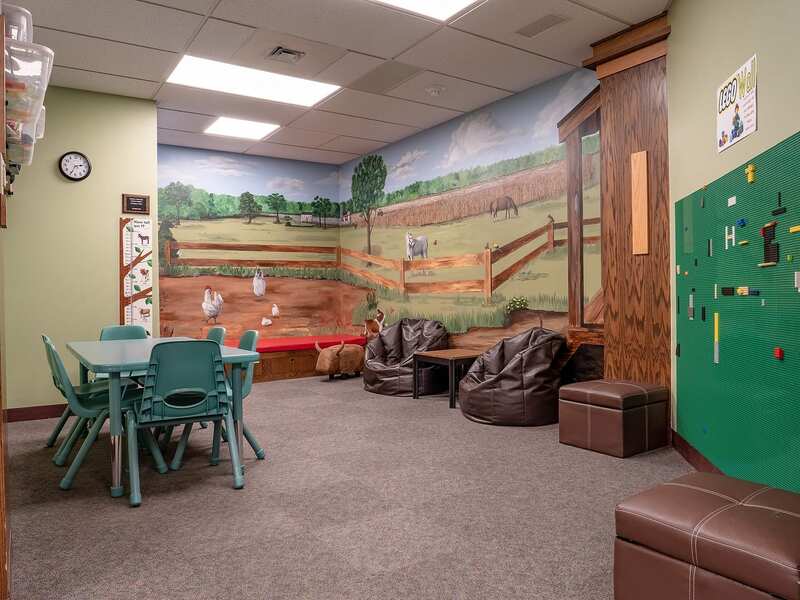 This farm-themed space houses a Lego wall, craft area, and great spots to read. Build, play, imagine, and create in The Imagination Station! 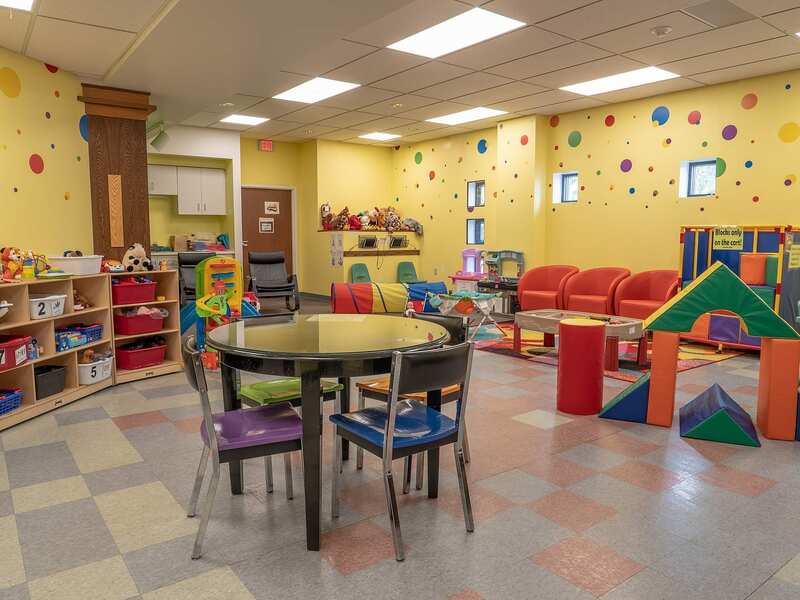 This space is excellent for sensory and socializing experiences with an array of rotating toys and activities. Come explore and let your imagination run wild!